Here you find an overview of all materials that we use and their impact on our environment. Our toys are made of wood. No plastic. Only wood. 1.) Transportation distances are short and therefore CO2 emissions small. 2.) Swiss forests are managed in a sustainable way (>50% certified FSC, >30% certified PEFC). A large portion of our wood is FSC certified. We finish our blocs with natural wood oil that contains natural color pigments in the case of colored blocks. Our wood oil contains neither solvents, nor VOCs (Volatile Organic Compounds), nor any ingredient of the REACH* list. Our supplier assures that under normal use, no toxic effect on the environment is known or expected. Our wood oil is tested and certified according to EN 71-3 (European standard of safety of toys). Our supplier is certified ISO 9001 (quality management) and ISO 14001 (environmental management). *Registration, Evaluation, Authorisation and Restriction of Chemicals (REACH) is a regulation of the European Union, adopted to improve the protection of human health and the environment from the risks that can be posed by chemicals. The boxes and the inserts of our product packaging are made from cardboard. Around 75% of our cardboard is recycled. The remaining 25% is paper made of wood fibers from sustainably managed forests (certified FSC). The cardboard can be fully recycled after use, as the glue is made from corn and wheat starch and thereby 100% natural and recyclable. Our cardboard is produced in Switzerland. Our supplier is certified ISO 9001 (quality management) and ISO 14001 (environmental management). The cardboard is FSC certified. At the moment we use standard kraft paper, of which we neither know the contents of recycled paper nor other ingredients. 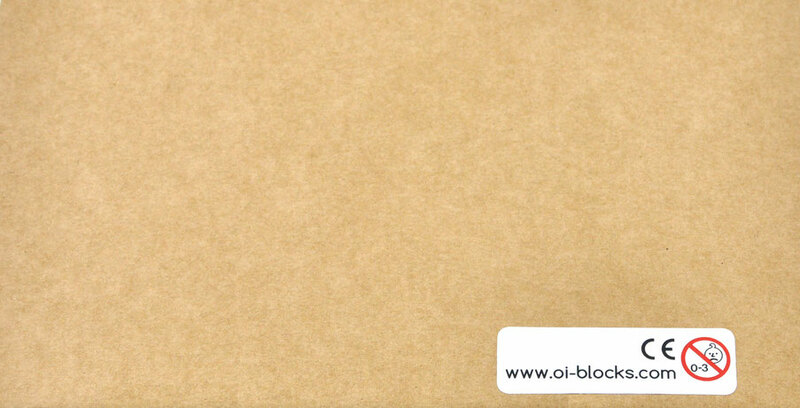 We have found an ecological kraft paper that is made from recycled paper to a large part and from wood fibers from sustainably managed forests (FSC certified). We will switch to this ecological kraft paper as soon as possible. At the moment we use standard printing paper, of which we neither know the contents of recycled paper nor other ingredients. We are looking for suppliers, which print on a more sustainable paper (at least FSC certified). We use sticky paper, which is 100% recyclable. The glue consists mainly of vegetable ingredients (67% of the weight), which allows recycling. We have no information on the remaining 33% of the weight. The paper is virgin paper. We will switch to recycled paper, as soon as our supplier offers this alternative. Our suppliers and we use standard ink for digital printing on cardboard (UV printing), white paper and kraft paper (inkjet printing). Since ink ingredients are not disclosed by manufacturers, we cannot make any statement about the environmental impact*. * According to a study by Stiftung Warentest in 2008, heavy metals have almost completely disappeared in printing ink and the content of azo dyes (synthetic, organic dyes) has also significantly decreased. We use stickers on some of our product packaging. We do not know the impact of these stickers on the environment. The stickers are only a temporary solution to show safety instructions and the product number. We plan to print directly onto the cardboard soon.